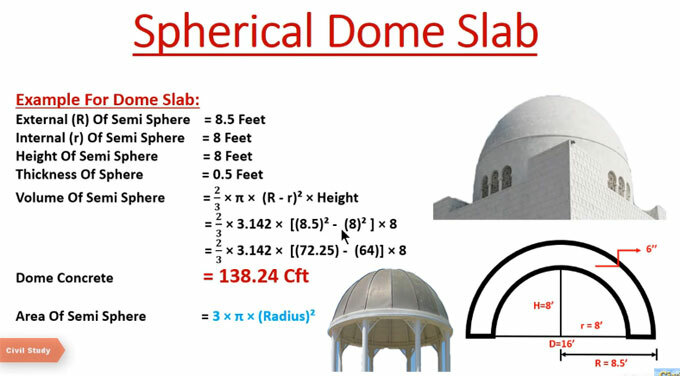 In this exclusive civil engineering tutorial, you will get some useful tips to work out the quantity of materials for a spherical dome slab. A dome stands for an architectural component and rounded vault that constructs the roof of a building or structure, generally with a circular base. The spherical dome is created with a flat cut in a sphere.